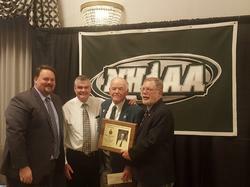 On November 18th, the New Hampshire Interscholastic Athletic Association (NHIAA) hosted the Hall of Fame Induction Ceremony for the Class of 2018. 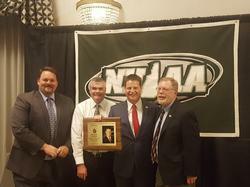 The NHIAA Hall of Fame honors and recognizes outstanding individuals who have had a significant and lasting impact on the lives of New Hampshire's youth through their involvement in high school athletic programs as an Administrator, Athletic Director, Coach, Booster, Sports Writer, Broadcaster, School Board Member, Team Physician, Contributor in the Community, etc. Former athletes who have excelled in high school and continue to exemplify high standards in their adult lives would also be eligible for this award. 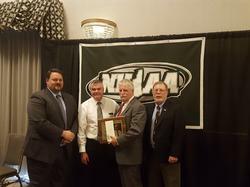 A special selection committee judges all nominees on their significant and/or long-term contributions to NHIAA sponsored athletic programs. 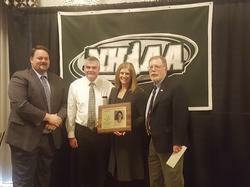 Here is a list of all the members of the NHIAA Hall of Fame. To read short biographies of each inductee, click here. 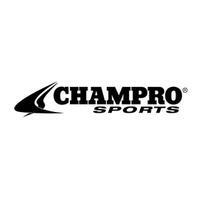 Five of the six inductees were present for the induction ceremony, held at the Grappone Conference Center in Concord, NH on November 18th. Many family and friends attended in support of these outstanding individuals. Each inductee was featured in an interview recorded prior to the event. 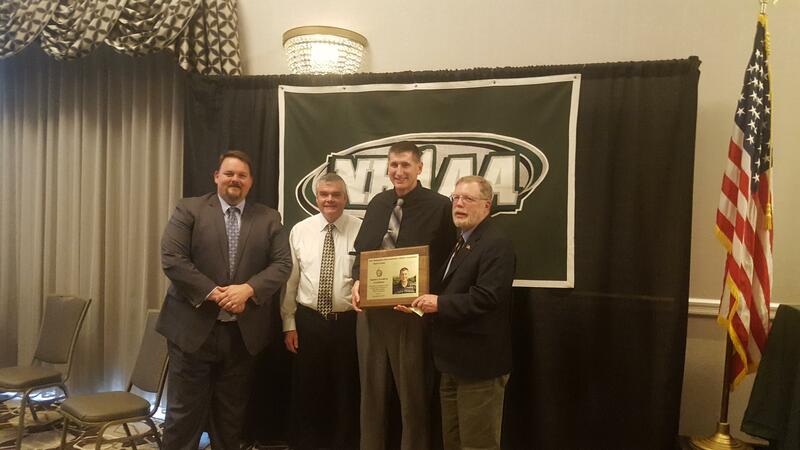 They reflected on their time in interscholastic athletics in New Hampshire, shared stories, and noted mentors who helped them along the way. 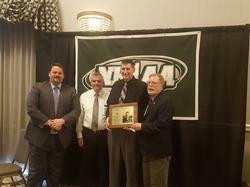 The event concluded with a short speech from inductee Jamie Staton, Sports Anchor at WMUR, where he highlighted each inductee and recognized just how special the Class of 2018 is to the New Hampshire high school sports community. 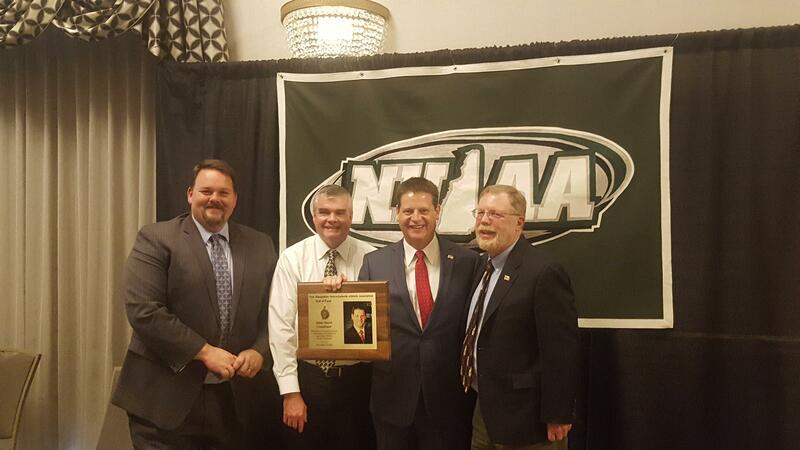 Featuring two gold-medal winning Olympians, a multi-sport official, a 200+ game winning coach, a record-holding basketball player, coach, and administrator, and a dedicated sports journalist, this NHIAA Hall of Fame Class is one of the most well-rounded classes ever to be inducted. 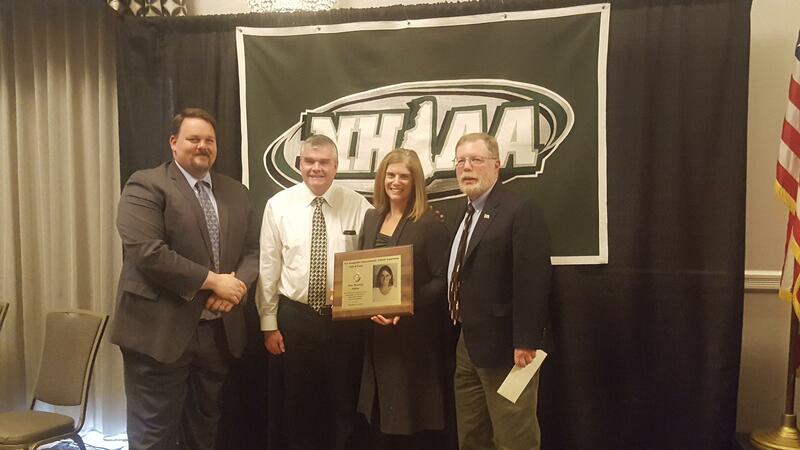 We thank all our inductees for their service to New Hampshire high school sports. 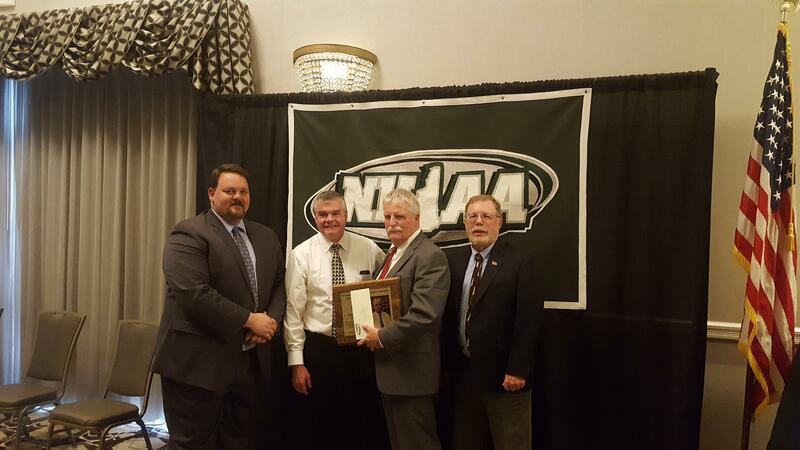 Thanks to all who were able to attend our ceremony and support the NHIAA Hall of Fame. 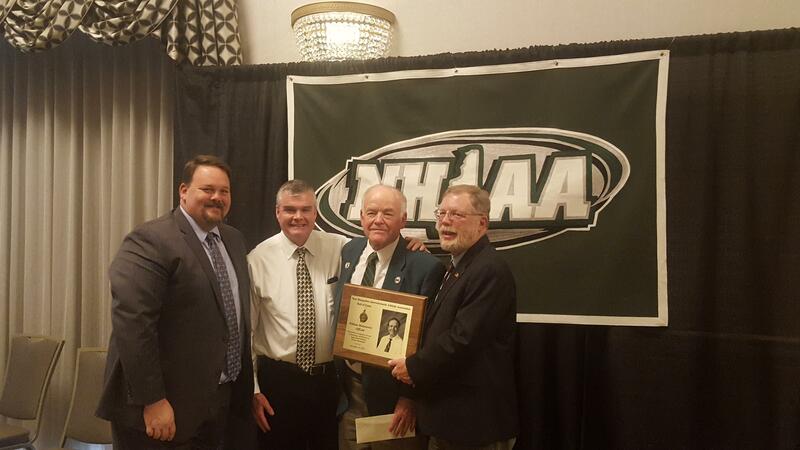 The NHIAA Awards Committee is welcoming nominations for the Hall of Fame. If you know someone you feel should be recognized, please consider nominating him or her. You can find the Hall of Fame Application here.